As you can see from this tweet from the set, a new Bourne Identity movie just started filming yesterday (with Matt Damon once again reprising his role as Jason Bourne). 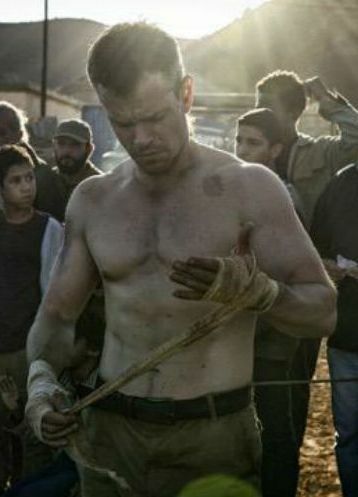 I really enjoyed the first three with Matt Damon (not so much the one with Jeremy Renner). And, as you can also see...Matt has really "let himself go" since the last films. I need to get his trainer, cook, money...pretty much everything he has. I'm definitely looking forward to this new Bourne movie hitting the theaters sometime next year!